I think that I might be a little cramped for head room in this old pickup. I’m not a big fan of the chopped top, because I like to sit up and be comfortable, but there is no denying that this is one good looking truck. It’s a very clean appearance and well presented. The gap around the the custom door frame is even all of the way around. I didn’t check underneath but I’m sure there is an adjustable suspension (air or hydraulic) to lift this baby off the pavement. 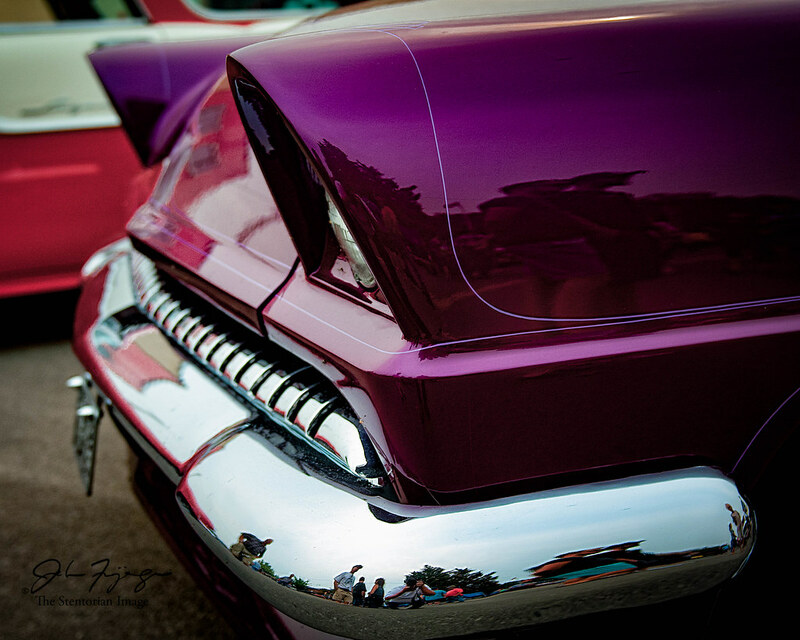 The extended head light eyebrows on this customized 1955 Mercury add an air of mystery to the intense color of this car. The massive chrome bumper adds a weightiness to the front end of a vehicle that has had much of the other chrome trim removed. 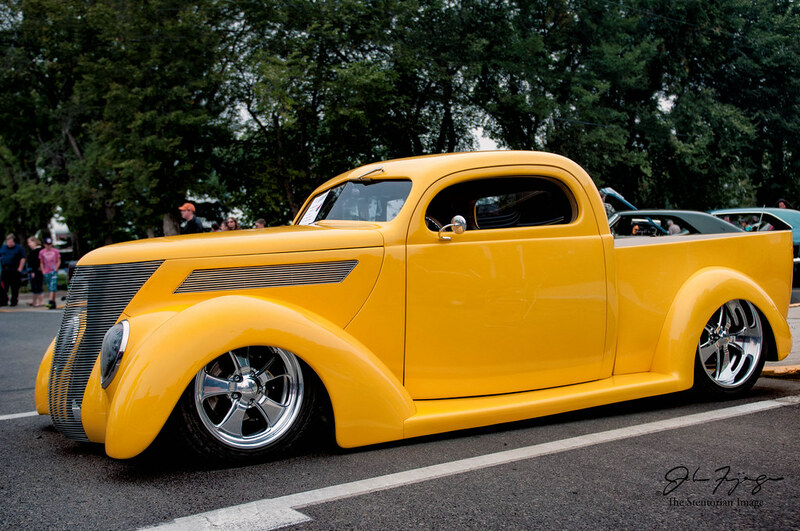 The fish eye effect of the corner of the bumper gives a view of the street life on show day. 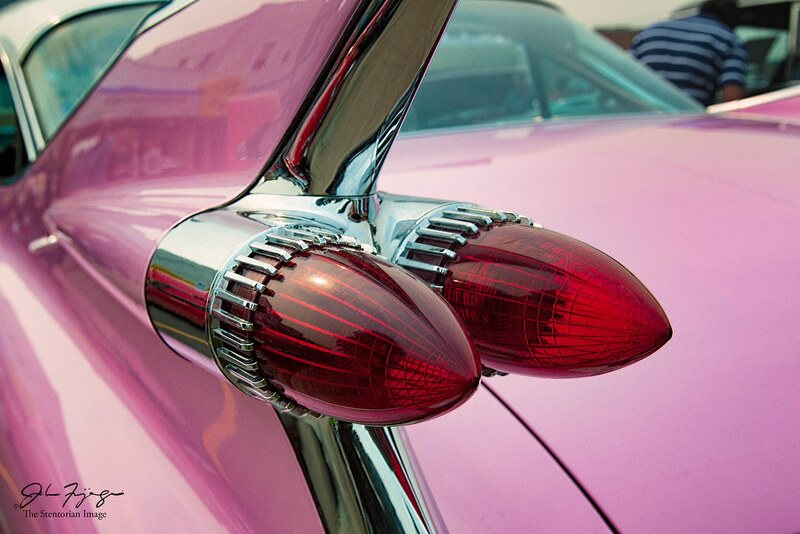 The Pink Cadillac is a cultural icon, whether because of the 1989 Pink Cadillac Movie starring Clint Eastwood or the 1984 Pink Cadillac song by Bruce Springsteen, I’m not sure. I do know that the huge 59 Caddy is a whole lot of pink. So I thought I’d leave you with just the amazing bullet tail lights. Well, tailfin at least. 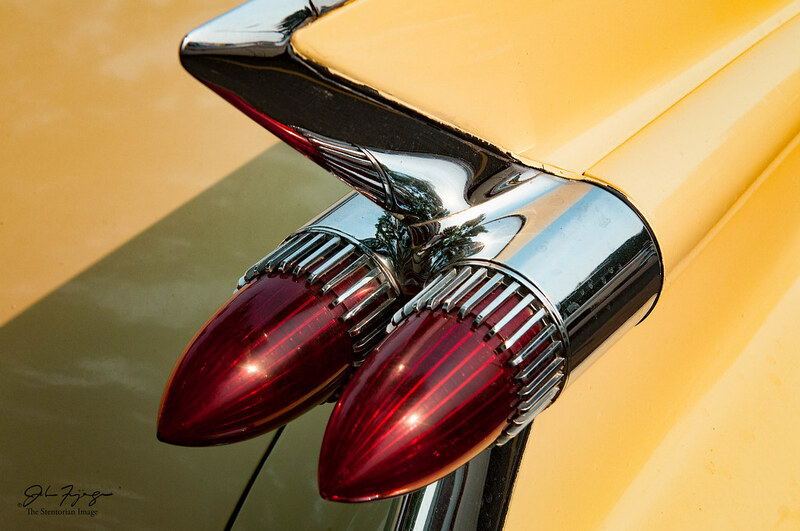 The 1959 Cadillac has the record for the largest tail fins of any automobile. It is one of the reasons why this model is prized by collectors. The distinctive twin bullet taillights are unique to the 59 as well. The 442 was a bit of an anomaly in the Oldsmobile line up. It was full on factory muscle car from a brand without a sporty image. 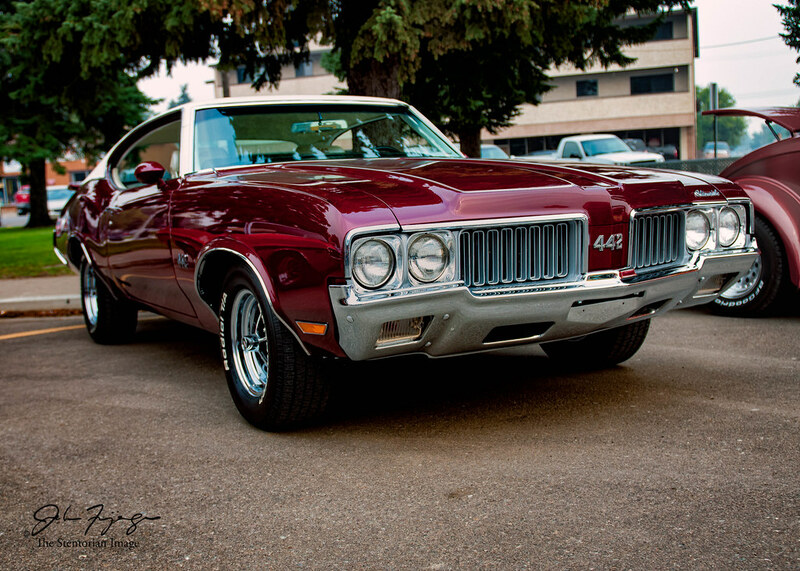 This one is a prime example of a second generation 442 based on the popular Cutlass model.